After playing together for more than a decade, never thinking their band would become what it has when they started, Thrice have come full circle with their latest Vagrant Records release. They seem to have done it all, the fast-paced garage punk, the stripped down melodic vibe, the structured setting of their last four-disc release, The Alchemy Index, and now they’ve gone back to their roots with the guitar-driven sound of Beggars. Exploring the fears and falsities of humankind, Beggars asks the questions that so many of us are afraid to and speaks the truth that most of us don’t want to hear. 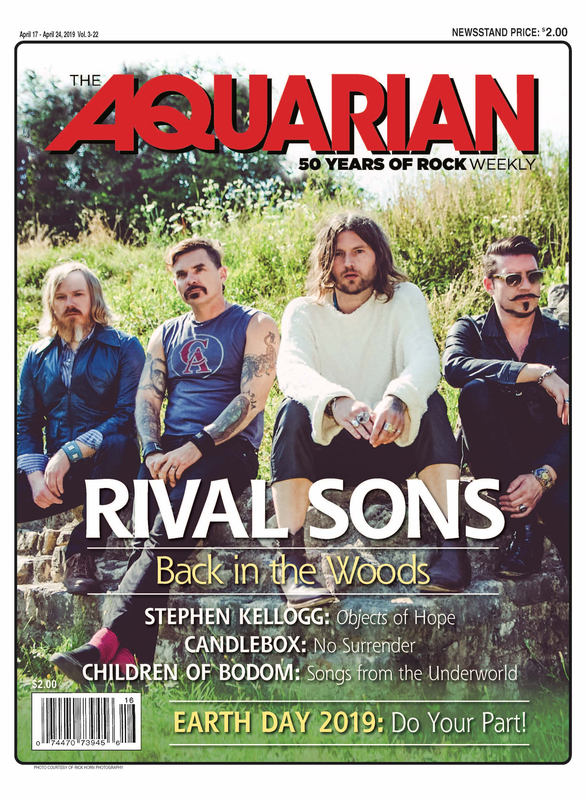 While out on tour and about a week before their much-anticipated show with Brand New, Glassjaw, Manchester Orchestra and Kevin Devine at Long Island’s Nassau Coliseum, lead singer/songwriter Dustin Kensrue took the time out to talk to the Aquarian Weekly about the band’s past, present and what we can expect in the future. It’s been going really good. We were out with Brand New for a bit and now we’re headlining with The Dear Hunter and Polar Bear Club. We’re driving to Poplar, IL, which is outside Chicago. So your blog mentions that the set list this time around is pretty different than what you guys usually play. Can you tell me what kind of songs you’re performing that you usually don’t? There’s just some random ones that we haven’t played much – there’s a song called ‘Like Moths To Flame’ from Vheissu, one called ‘The Arsonist’ from the Fire record that we haven’t played out more than once. We’ve reworked a song from the Air record called ‘A Song For Milly Michaelson,’ it’s really, really mellow on the record and we kind of just readdressed it using the basic song structure so it’s got a lot of similarities but some more dynamics. And how has the crowd reaction been? Good, especially for that one, I think a lot of people like the song but you wouldn’t really expect to see it live and it’s been going over well, it’s cool. This is the second time that Teppei has served as the main engineer for the album, do you think that you guys would ever go back to having someone else produce your future projects or are you pretty much gonna stick with things the way they are? I definitely know we’re not opposed to it in theory, in practice for budget-wise and various other issues I don’t know what will happen; but definitely not opposed to having that outside influence, I think we’ve kind of got a good thing going and have learned how to work really well with each other without someone kind of organizing from the outside and pushing or pulling in various directions. Especially, even on the fact that Teppei is engineering it too, it’s just less kind of things in the way from us playing to what actually gets down and our vision of what actually is on the record. So that’s kind of cool. I feel like Beggars seems to bring you guys back to your roots as a band, you know, four of you in a room creating music, kind of letting it happen naturally as opposed to The Alchemy Index which was a lot more structured. How was the writing process different this time around? Really just what you said, The Alchemy Index was very structured in the sense that we had these ideas that we wrote specifically towards these four elements and then crafted them to sound a certain way, and feel a certain way, and this time around-it had been a couple years really since we had been in a studio together just playing-and that was really refreshing and as we brought our ideas together this time we just sort of bring one up and start flying with it and jamming on it and even though they were coming from these different places once we started playing them together they all came to fit together and have a good cohesion and that’s just really the way the record developed, very organically. In the beginning it kind of seems like your music was a lot faster and harder and lately you kind of slowed it down and stripped it down a bit, added that electronic element in the previous record. Now you seem to have kind come full circle and gotten back to that guitar-driven Thrice sound. Can you talk about how your direction has changed and progressed since you started out up until now? I mean, keeping in mind we didn’t even start this thinking we were gonna have any kind of career with it, we were just playing some fast kind of punk rock or whatever metal influences, you know, just started to try to incorporate different things that we liked in various kinds of music and from the beginning we were trying to blend different things even though it was, I think, not as many things in the beginning and now it’s complex. So we’re into fast music, punk rock, and certain kinds of metal and whatever and then as our influences changed and we got older we just started pulling in whatever we like and bringing in these electronic elements or different melodic elements and it truly hasn’t been, for us, saying, ‘Who do we want to be now,’ its been, ‘These are the things I’ve been digging on,’ and for a while I think it was hard for us to, our influences were changing faster than it felt like we naturally could, and I think that’s why people feel like there was kind of a jump from The Artist In The Ambulance to Vheissu. I think we really at that point were like, yeah okay no matter what we’ve done before let’s just make a record that is what we want to make right now and let it be from this moment and not as influenced from the past. So we did that and then Alchemy was a completely different animal in general and the next one I think is just a very free record in the sense that I think we could have made this record if we just started a band today and not have any history-just the four of us kind of playing around.